Mood disorders (including major depressive disorder) are some of the most common disorders in psychiatry. 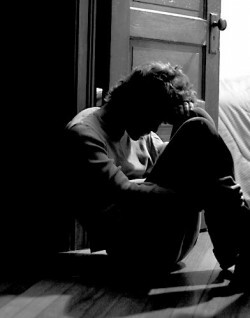 A patient suffering from Major depressive disorder is most likely to present one or more of the symptoms that are related to depression, such as a marked decrease in interest while indulging in normal, daily activities, a depressed mood, lack of overall pleasure and joy lasting for two weeks or more. This altered mood reflects the person’s actions socially, educationally and occupationally. An altered mood which is caused as a result of substance abuse or drug over dosage, or is associated to a medical condition cannot be classified as major depressive disorder. One of the most remarkable features of major depressive disorder is the fact that it has the ability to alter and change the way you perceive things around you, how you analyze your life and also, how you see yourself. It has been observed that individuals suffering from depression tend to have a negative attitude towards life, and fail to see or analyze any situation or things in general, with positivity. It has also been noted that contrary to the general misconception, depression does not always present as sad feelings and deflated mood. It may appear as discouragement, dejection and even anger. Severe depression is associated with delusions and hallucinations. Altered sleeping routines which may lead to excessive sleeping and even insomnia. Major depressive disorder treatment can help you throughout recovery. There is no known cause for major depressive disorder , but scientists and researchers have a reason to believe that it may have a strong association with chemical changes that occur in the brain. These may occur due to a congenital defect or trait, or as a result of unpleasant or tragic events and experiences in life. They could also occur due to a combination of both these factors. Major depressive disorder can be hereditary as well, and it can also occur in the absence of any associated illness in the family history entirely. It has been concluded that anyone can develop symptom of depression regardless of the age. Some of the factors that may play a significant role in the development of major depressive disorder are excessive alcohol intake or drugs, pharmacological agents such as steroidal drugs, medical conditions such as cancer or disability, sleeping disorders, or any stressful or tragic experiences in life. A person suffering from major depressive disorder needs to get treatment in order to regain normal functioning. A medical health care provider will ask questions and also get questionnaires filled in order to gain as much information as possible. The severity of depression is also assessed with the help of interviews and questionnaires. Blood and urine samples will also be taken so that other conditions can be ruled out which also have similar symptoms. Major depressive disorder needs to be treated with a combination of medication and therapy. Antidepressants such as selective serotonin reuptake inhibitors can be prescribed, which include fluoxetine (Prozac), paroxetine (Paxil), sertraline (Zoloft), fluvoxamine (Luvox), escitalopram (Lexapro) and citalopram (Celexa). Tricyclic antidepressants can also be used to treat major depressive disorder. Bupropion (Wellbutrin) and Monoamine oxidase inhibitors are also used to treat depression. A person suffering from major depressive disorder may also get delusions or hallucinations. These are symptoms of psychosis and will require additional medicines. If major depressive disorder is diagnosed in a young adult, adolescent or child, he or she will have to be closely monitored for any suicidal behavior. This is most important in the initial months of starting medication as a common side effect of these medicines is a worsening of the depression. Pregnant women who are suffering from depression will also have to discontinue medication as it can have an adverse effect on their unborn baby. Talk Therapy: is a type of Psychotherapy in which a person talks about their feelings. It is a type of counseling that helps a person recognize their problems and he or she then learns how to cope with them. Cognitive Behavioral Therapy: this teaches one how to get rid of negative thoughts and feelings. In this a patient is taught how to recognize symptoms and how to identify triggers that make their depression worse. Problem solving is also taught in this therapy. Group Therapy: support groups that offer group therapy also help by making people share their problems and feel like a united group suffering from the same condition. Kaplan and Sadock’s Synopsis of Psychiatry: Behavioral Sciences, Clinical Psychiatry Kaplan, Harold I., M.D., and Benjamin J. Sadock, M.D. Practice guidelines for the treatment of patients with major depressive disorder Thase M, Gelenberg AJ, Markowitz JC, Rosenbaum JF, Freeman MP, Trivedi MH, et al. APA.